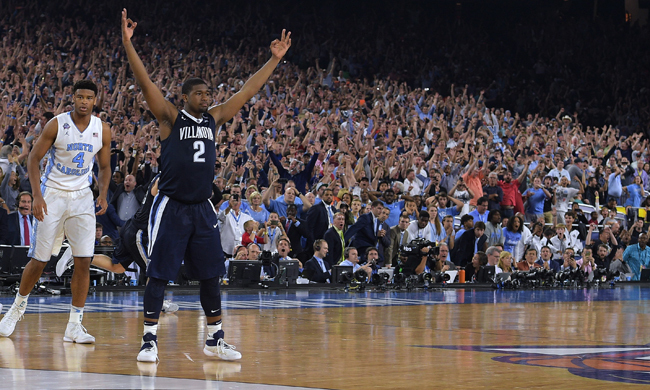 Villanova Stuns UNC to Win National Title! 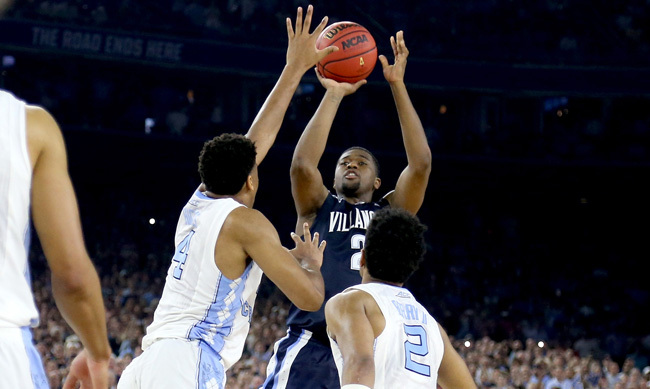 ​HOUSTON (AP) — Kris Jenkins is one of those players who believes every shot is going in. The Villanova junior answered a double-clutch, game-tying 3-pointer by North Carolina's Marcus Paige with a buzzer-beating 3 of his own Monday night to lift the Wildcats to a 77-74 victory and the national championship. And Jenkins wasn't about to be outdone. This time, the senior point guard made an underhanded flip to Jenkins, who spotted up a pace or two behind the arc and swished it with Carolina's Isaiah Hicks running at him. Or, as Jenkins put it: "One, two step, shoot 'em up, sleep in the streets." Coach Jay Wright called timeout and called the play the Wildcats (33-5) have worked on all season. "I didn't have to say anything in the huddle," he said. "We have a name for it, that's what we're going to do. Just put everybody in their spots." "Bang," Wright said as he watched it fall, then calmly walked to shake Carolina coach Roy Williams' hand. Confetti flew. The refs looked at the replay to make sure the shot got off in time. It did. The points went up on the scoreboard. Celebration on. ​Jenkins finished with 14 points — the last three as memorable as any that have been scored in the history of this tournament. After being thrown to the floor by his teammates, Jenkins got up, leaped over press row, hugged his birth mom — a college basketball coach who helped him hone his shot — and shouted, "They said we couldn't, they said we couldn't, they said we couldn't." High praise from the Great One. 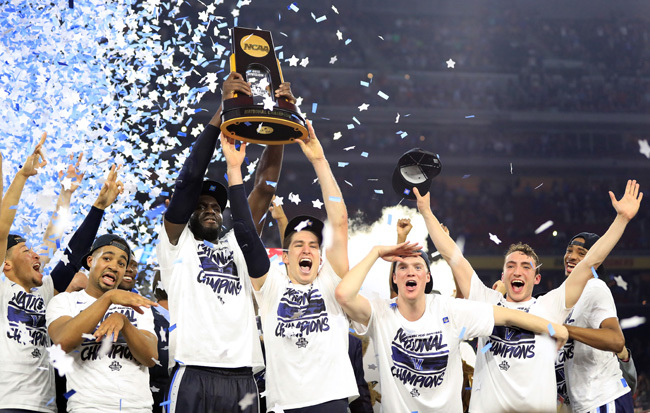 And what a night for Villanova — a second-seeded team full of scrappers, grinders and also-rans, who proved you don't have to have a roster full of NBA-bound one-and-doners to win a title. More people in the ESPN bracket contest picked 'Nova to lose to a No. 15 seed in the first round than to win the whole thing. This team flamed out early in the last two tournaments despite big expectations. ​Before Jenkins did his thing, it was unheralded sophomore Phil Booth — who isn't unheralded on that Villanova squad? — pouring in a career high 20 points to give the Cats their late six-point lead. Booth forced a turnaround jumper with the shot-clock blaring to give 'Nova a 69-64 lead at the 3:03 mark. With 1:52 left, a free throw from Josh Hart pushed the lead to six. "If I could get a shot, I was going to shoot it," said Arcidiacono, who finished with 16 points and two assists, one more memorable than the other. "But I heard someone screaming in the back of my head. It was Kris. I just gave it to him and he let it go with confidence."